If you’re looking for a Bay Area Airport Car Service, read the info below or call us now at 1.800.380.9788. Are you flying to or from any of the Bay Area airports? We’ll pick you up when and where you tell us. 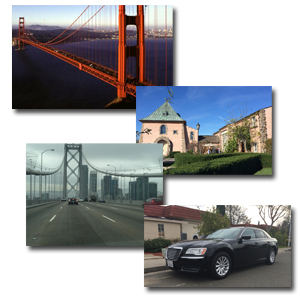 Wherever you are in the Bay Area, we will pick you up and deliver you with time to spare at your terminal. Long-term parking can be very costly and time consuming. Our Bay Area Airport Car Service is direct transportation, meaning no more stopping to pick up other passengers that aren’t in your party. Make a reservation 24 hours in advance and one of our chauffeurs will pick you up any time. Whether its day or night, weekend or week day, domestic or international, we’ll get you to your flight on time. No more waiting, no more worrying about finding a taxi or a shady Uber driver. Our Bay Area Airport Car Service will provide a ride in a clean vehicle with a friendly driver for you, your family or your colleagues. Make a reservation with us and you won’t have to remember where you parked after getting off of your flight! Whether you are visiting Silicon Valley for friends or family, a business trip for a meeting or a convention, make a reservation 24 hours in advance and Bay Area Car Service driver will meet you at the airport, help you with your luggage and get you to your destination. Need to get from San Jose International to San Francisco International or Oakland International for a connecting flight? We can provide transportation between the airports. Bay Area Car Service’s prices are competitive, rivaling and beating taxis. Be the one who already has a car and driver waiting for you at the airport, ready to whisk you away to your destination. 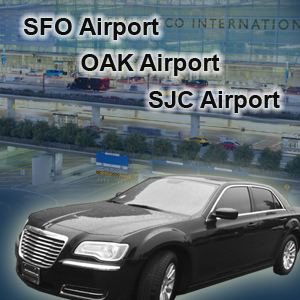 Reserve Your Bay Area Airport Car Service Today! Ready to make a reservation? Call 1.800.380.9788 or Bay Area Airport car service here. The number one Bay Area Airport car service has you covered.